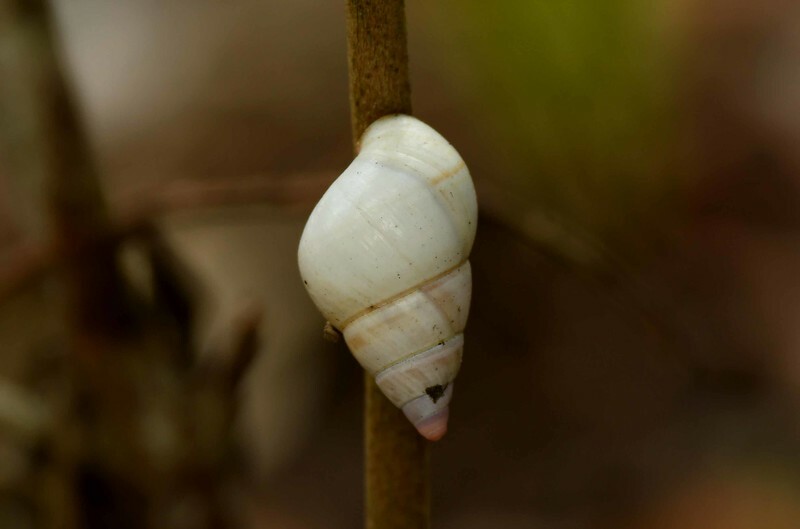 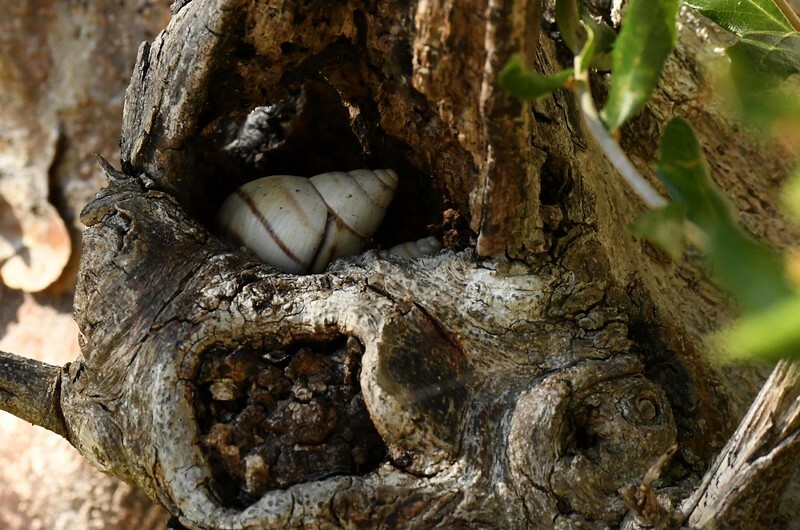 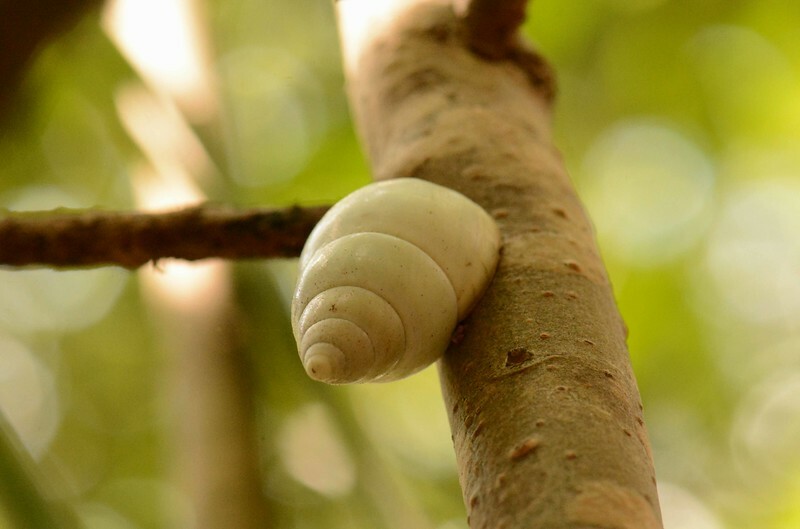 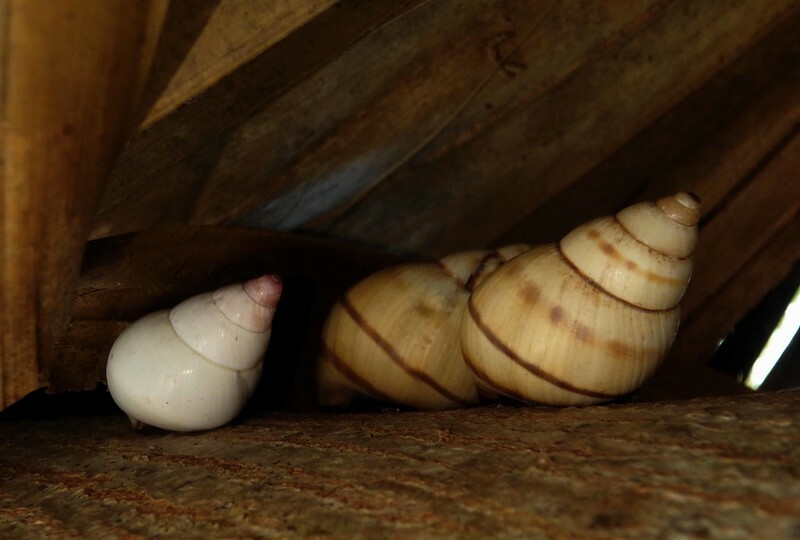 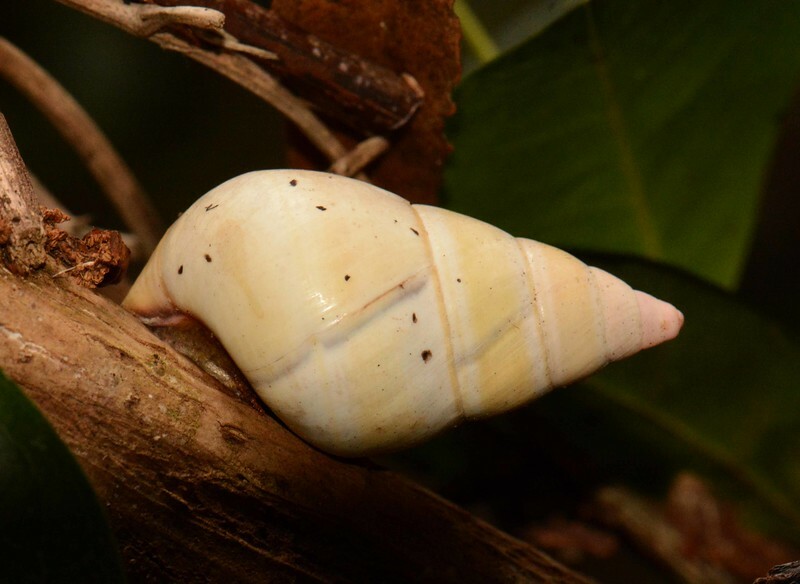 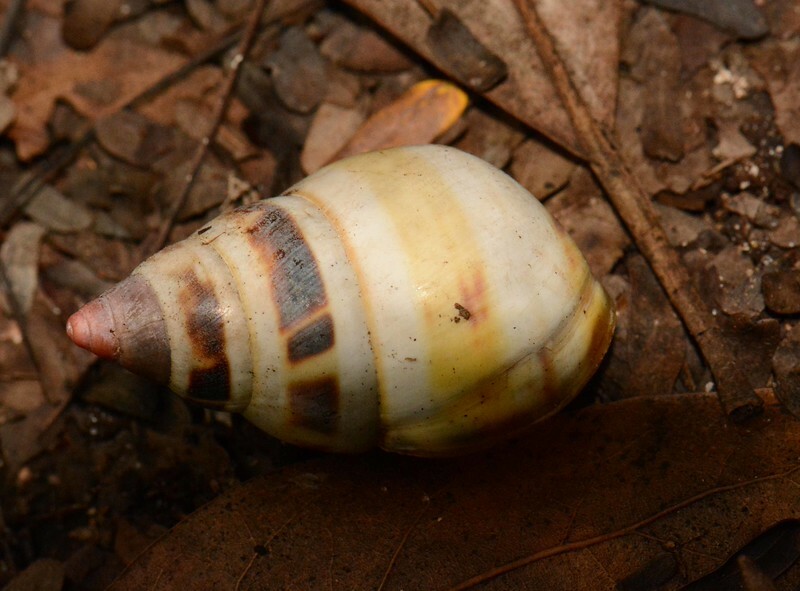 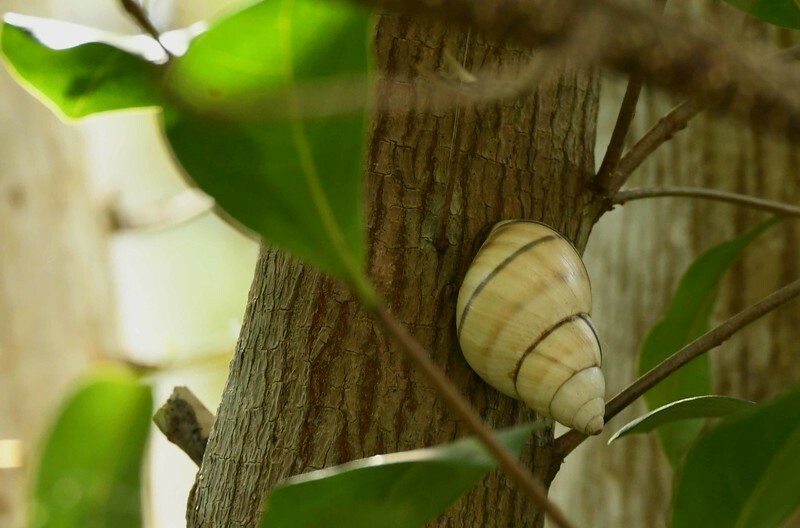 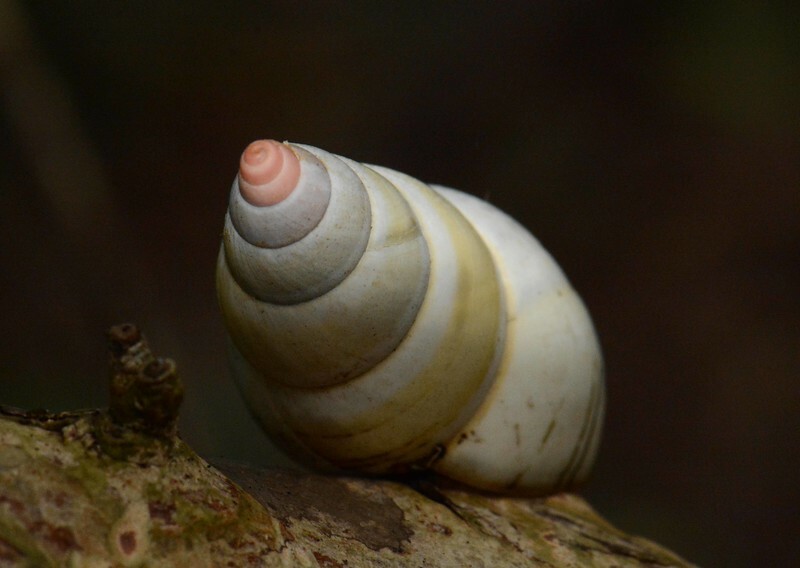 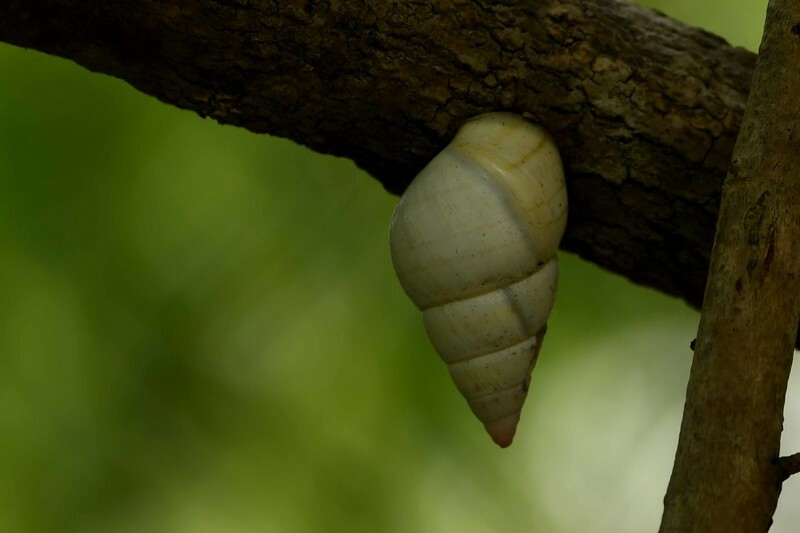 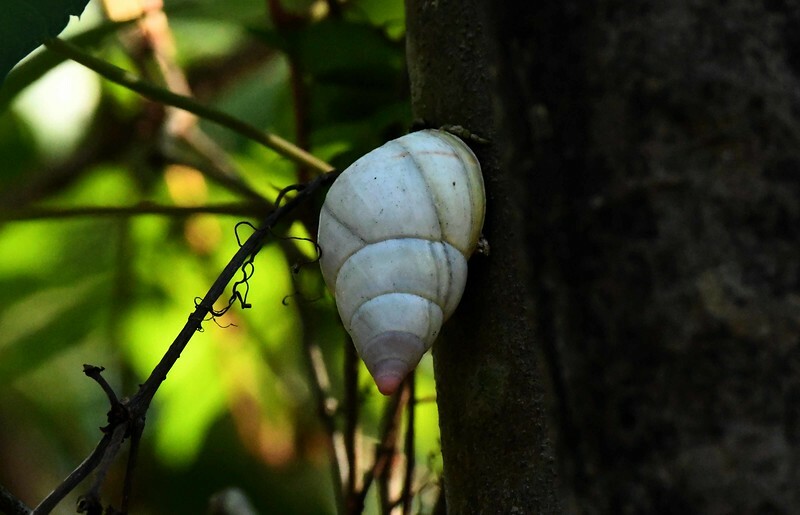 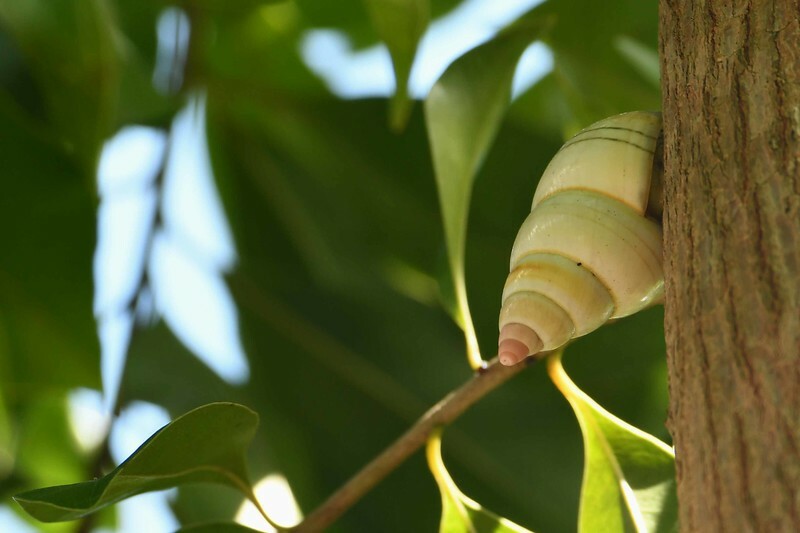 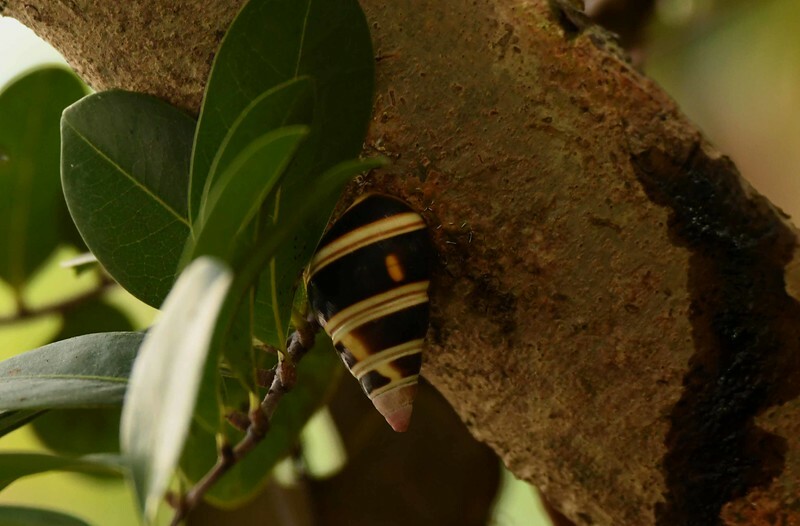 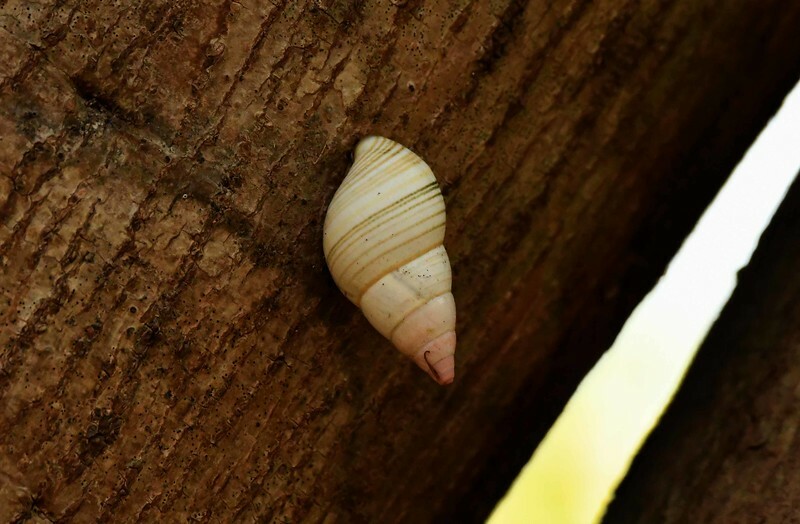 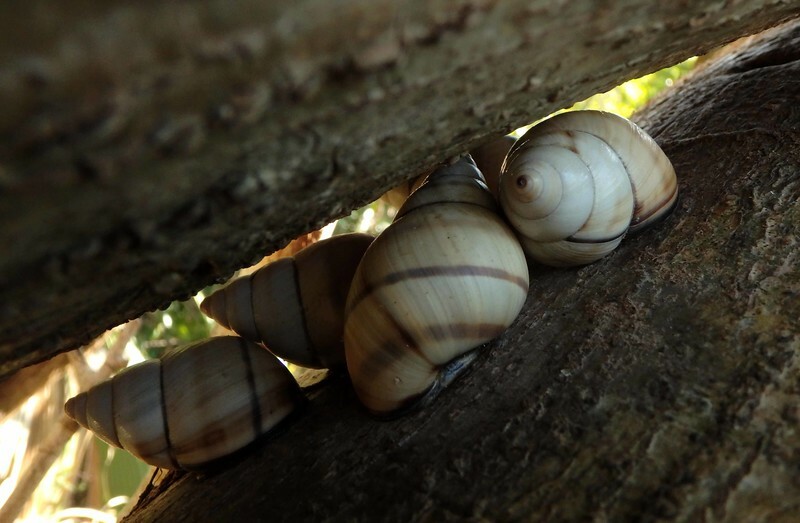 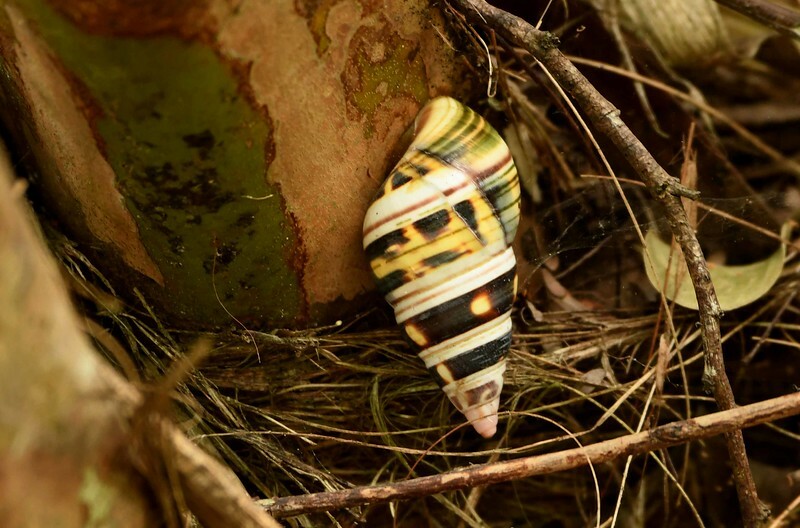 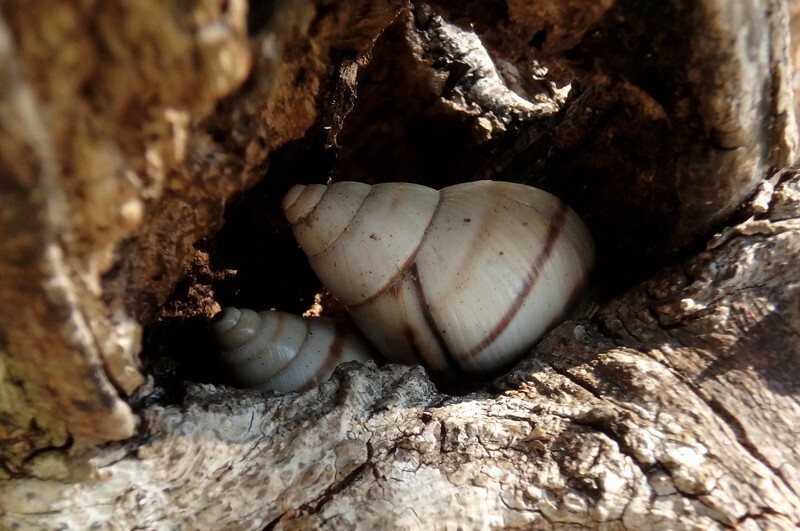 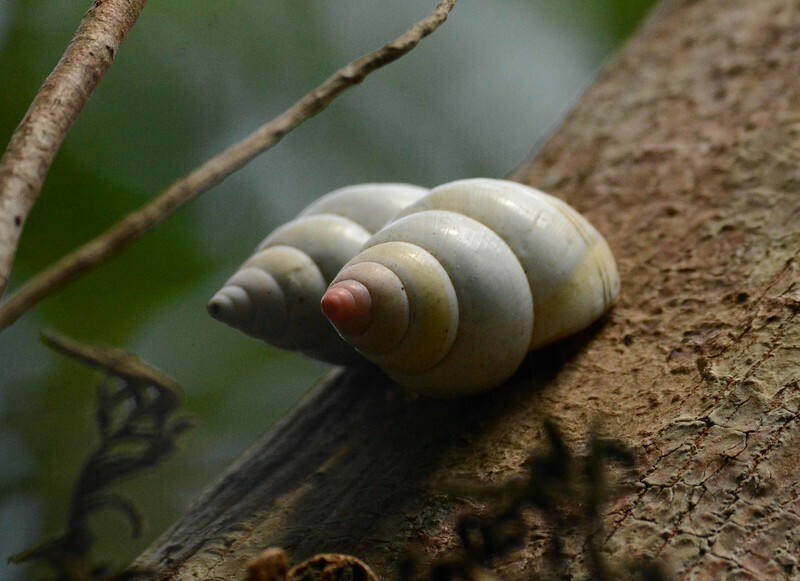 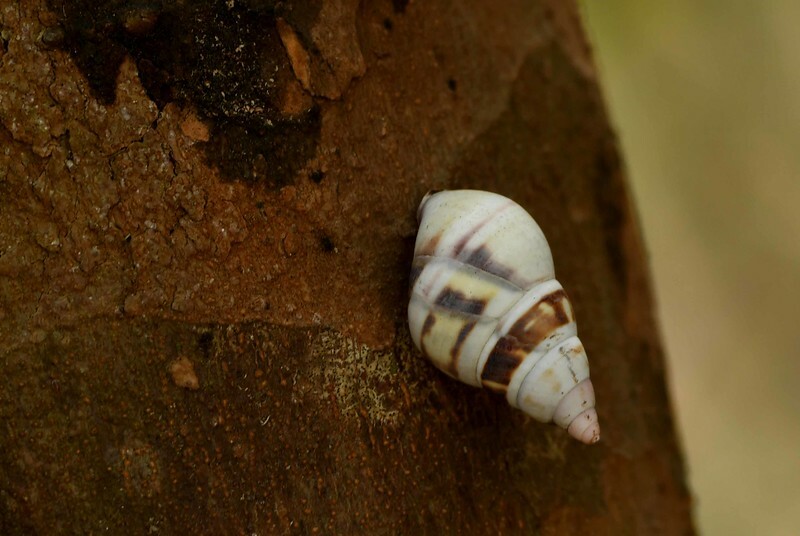 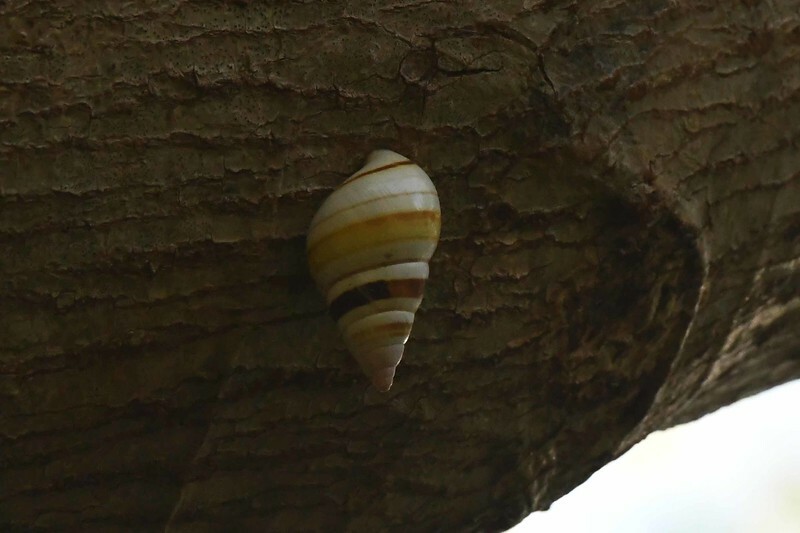 Florida Tree Snail -- Liguus fasciatus, aka "living jewels", live in hardwood hammocks in south FL and Cuba. 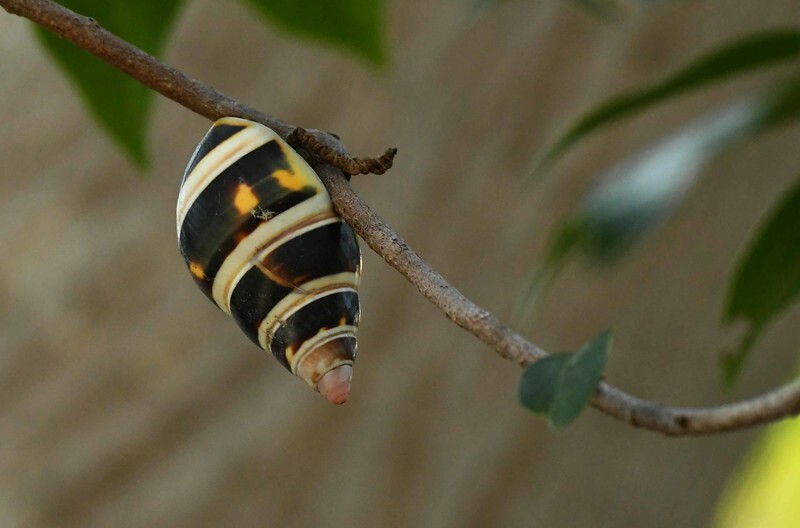 and would like to be a butterfly or an apple. 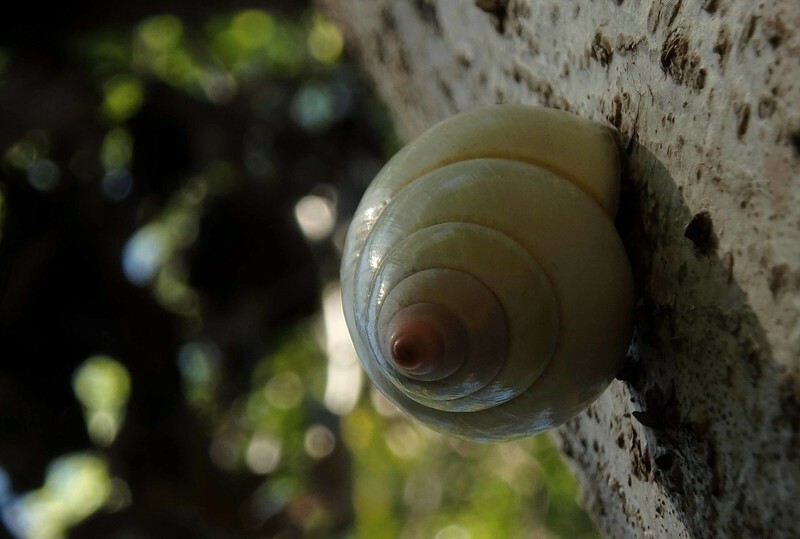 cannot be a fruit bulging on the branch. 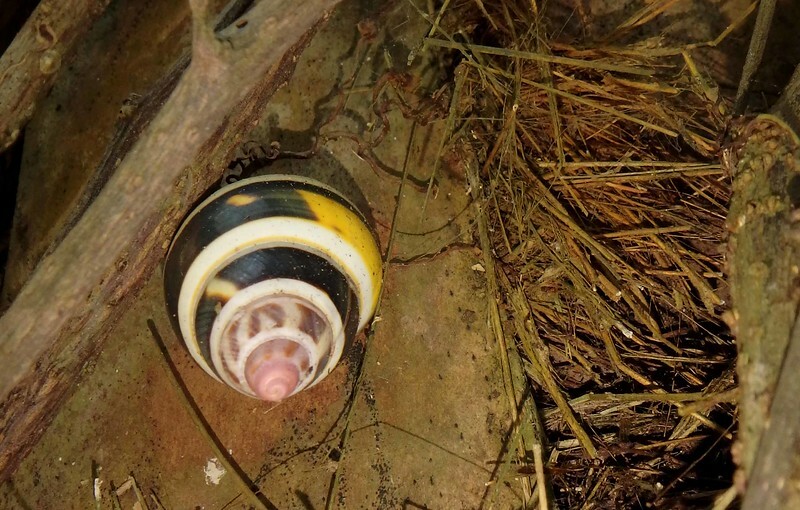 condemned to live in a shoe. 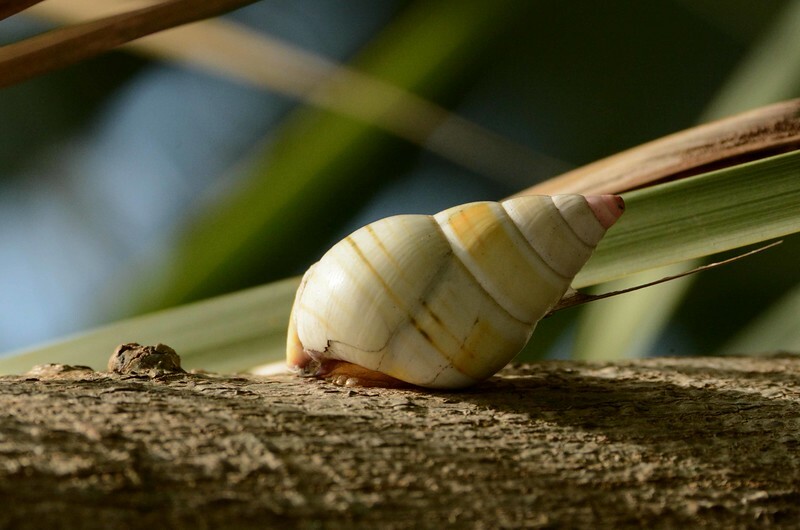 feeling out life like a blind man. 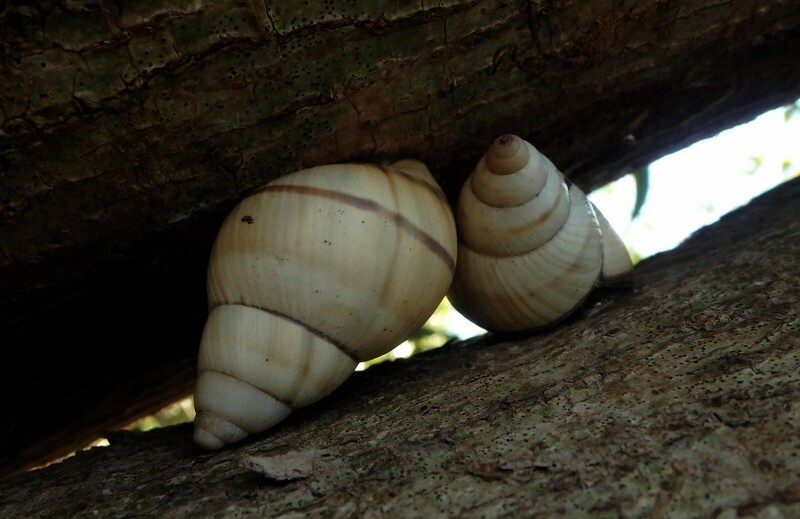 with triangular heads, like worms. 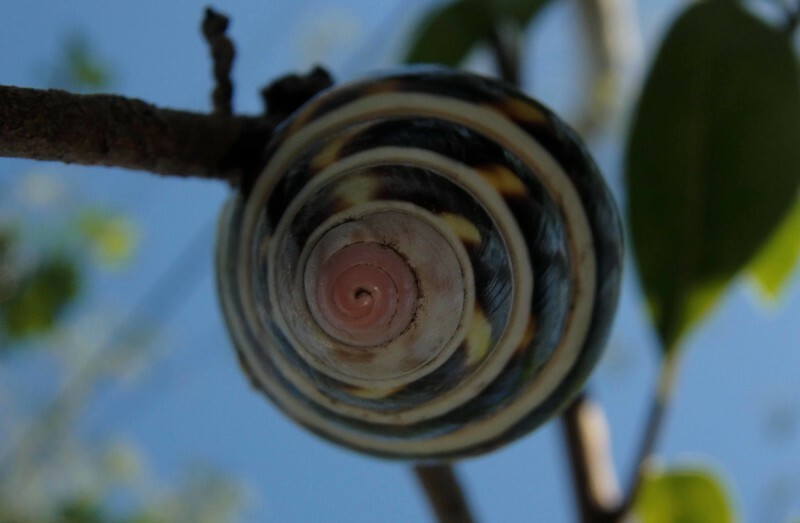 until the whole man chooses to stop. 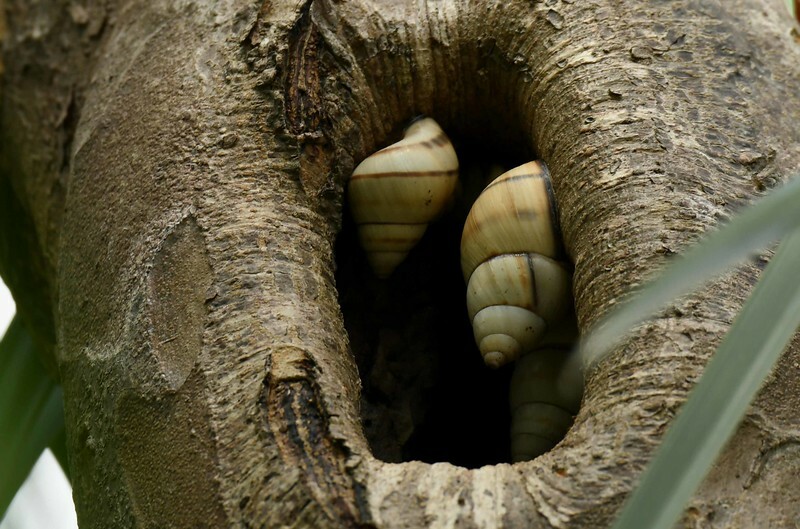 for there, everything, everything was dark.